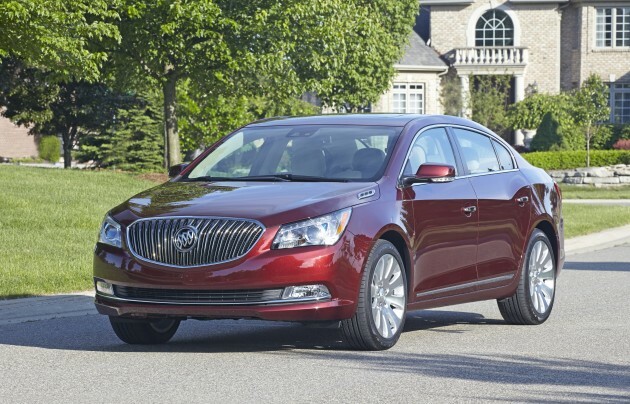 The 2015 Buick LaCrosse led Buick’s November 2014 sales. General Motors is reporting that Buick’s November 2014 sales are the best November sales that the GM brand has seen since 2003. Buick saw tremendous sales growth (13.8%) to individual customers, and even more tremendous growth in terms of total sales, at a 27% increase year-over-year. In particular, Buick’s sedan lineup stole the scene last month. LaCrosse retail sales shot up a whopping 53% over November of 2013. The LaCrosse hasn’t seen such a good November since back in 2005. The Verano’s retail sales also skyrocketed, 32% to be exact. Total sales of the Regal in the first 11 months of this year are up 22.5% over the same 11-month period last year. But Buick’s SUVs also excelled last month. The Encore specifically saw a total sales increase of 55.7% over November of last year. Year-to-date sales are up even higher, at 56.8% over the same period last year.